TAL’s screed and cement range produces smooth, high strength and hard wearing floor surfaces. 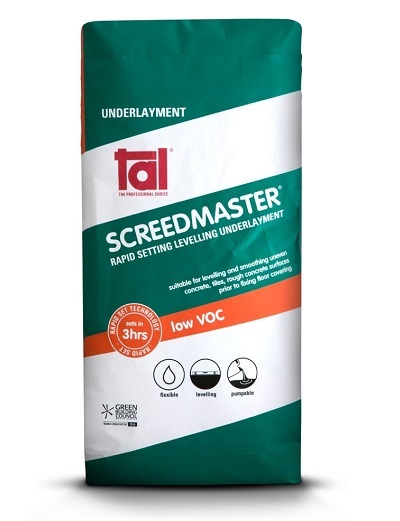 Included in the screed range are TAL SCREEDMASTER that offers a super-smooth and level finish and TAL SUPERSCREED, which is used to level imperfections in flooring surfaces. 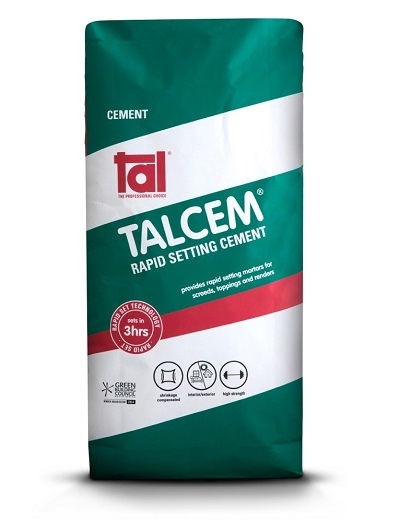 TAL also offers TALCEM, a cement for the preparation of mortars to be used as screeds or renders. All the products in the range offer a high compressive strength. 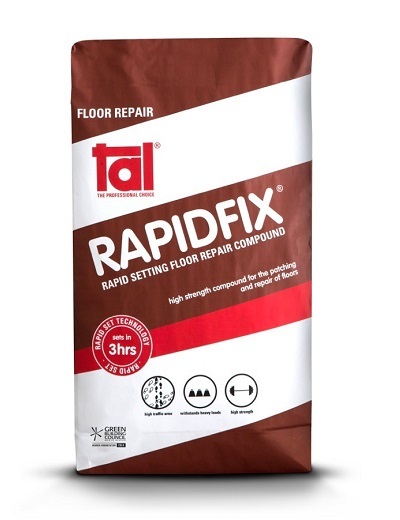 TAL RAPIDFIX is a single-component high-performance Patching and Repair compound manufactured from rapid-setting shrinkage-compensated cement and selected aggregates specially designed for repairing of deteriorated concrete and mortar surfaces as well as patching holes in floor and wall surfaces. 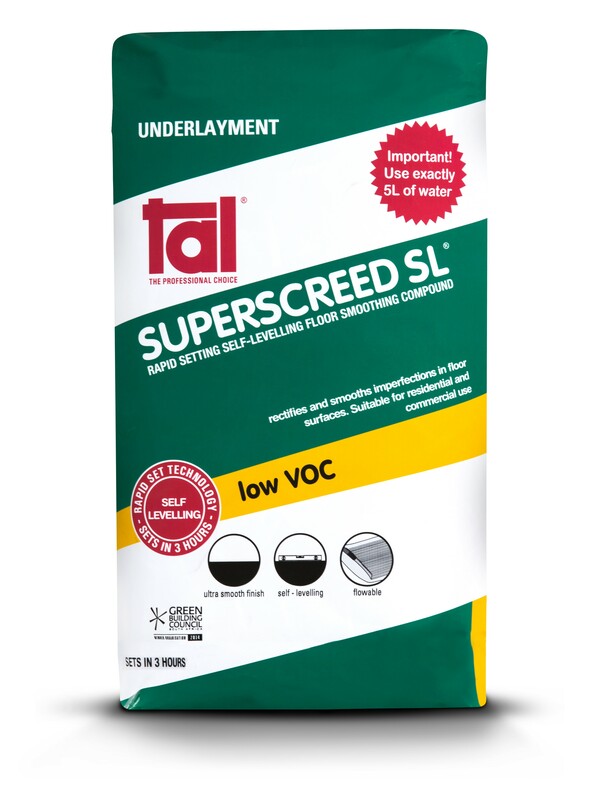 TAL SUPERSCREED is a grey single-component high-performance levelling and smoothing underlayment. Floor coverings can be fixed after 24 hours, depending on application thickness and ambient conditions, once the moisture content of the floor has been tested and confirmed suitable to receive the intended floor covering. When mixed withTAL SCREEDBINDER (as a total water replacement) it is also suitable for use as a protective barrier over under tile heating elements and for commercial installations where rubber caster wheels form the majority of the traff. TAL SCREEDMASTER is a single-component high-performance self-levelling and smoothing underlayment manufactured from rapid-setting shrinkage-compensated cement and selected aggregates designed with high flow properties when added to water to produce a smooth, flexible and hard wearing floor surface prior to the fixing of floor coverings with minimum installation time. Floor coverings can be fixed after 24 hours, depending on application thickness and ambient conditions. View our TAL SCREEDMASTER step by step instruction blog post. Coverage: Approximately 1.8kg / m² / mm thickness (22kg bag will cover approx 4m² at a 3mm build). 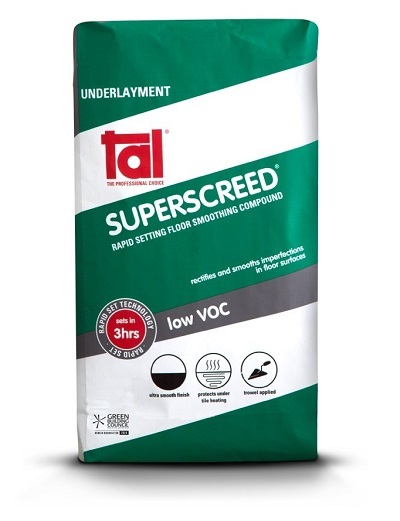 TAL Screedmaster Industrial is a single component high-performance heavy-duty industrial self-levelling and smoothing Underlayment Compound, manufactured from rapid-setting shrinkage-compensated cement and selected aggregates. Designed with high flow properties, when added to water it produces a smooth, flexible and hard wearing floor surface prior to the fixing of floor coverings with minimum installation time. Coverage: Approximately 1.8kg / m² / mm thickness (i.e. a 19kg bag will cover approx 3.5m² at a 3mm build).